*Orthodox or Traditional Jewish parents and adult family members of LGBT Jews. The program for the weekend will be designed primarily for parents and adult relatives such as grandparents, aunts, and uncles or other adults important to the LGBT family member. 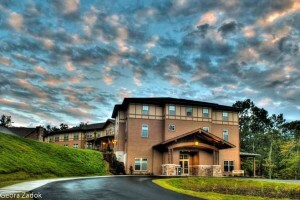 The retreat will be at the Capital Retreat Center in Waynesboro, PA. Visit the website at www.capitalretreat.org or call (717) 794-2177 for more information. This is a first-class, full-service hospitality campus close to BWI and PHL airports and a one-hour drive from Baltimore, Md. and Washington, DC. We will have exclusive use of Nesiyah Lodge and will be dining and meeting in our own area to ensure privacy. What will happen at this weekend? This weekend will build a community of Orthodox and Traditional Jewish parents and relatives of LGBT children. We will create a comfortable place to share and learn with mutual support for discovering new ways to approach our children. Sessions will address having an LGBT family member in our families and in the Orthodox communities of which we are a part. Whether you are fully accepting of your LGBT child or struggling to accept them, this is the place for you. No judgments will be made about any retreat participant’s attitudes or levels of acceptance of their LGBT child. We only ask that each attendee agree to respect other participants’ feelings and attitudes. For getting to the retreat site, please visit the retreat website to find out information about train, airplane and car travel to and from the retreat center. Transportation to and from the retreat is at your own expense. All prices include full room and board. We strive to not to turn anyone away for lack of funds! Please inquire if this retreat presents a financial challenge. If you are able to donate funds to enable someone who cannot otherwise attend the retreat, please click here. Your contribution is greatly appreciated and will make this retreat a reality for someone else. All Capital Retreat Center food is under strict Star-K Kashrut supervision, using only Glatt Kosher meats and Cholov Yisroel dairy products. Produce is sourced from local farmers for the freshest ingredients. The facility is nut-free. Capital Retreat Center strives to accommodate almost every dietary need possible. The weekend program will be fully Shomer Shabbos (Sabbath Observant). 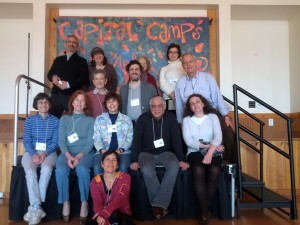 Retreat participants agree to respect others’ religious beliefs and practices. We do ask that everyone keep the laws of Shabbos according to Orthodox practice in public areas. The entire facility is enclosed in an eruv. There will be a traditional prayer service/minyan. Some participants may have important reasons for keeping their attendance at the Shabbaton confidential. You have affirmed that you WILL NOT POST OR DISTRIBUTE PHOTOGRAPHS or audio/video recordings of other attendees publicly unless you have the EXPLICIT permission of every attendee represented therein. This includes distribution or posting online on flickr, Facebook, MySpace, and similar sites, as well as anywhere else in which photographs and other representations are publicly available.